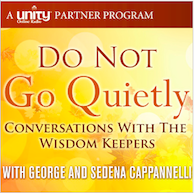 Sage wisdom from George & Sedena Cappannelli, inspiring truth-tellers and passionate, articulate spokespeople for a vast generation whose issues are being ignored and whose talents, experience & wisdom are not being honored. GenXers (40 to 45), Boomers (46 to 64) and Elders (65+) who want to reconnect with or recommit to their dreams, share their wisdom and experience, create a legacy of genuine value for those who will come after them and who understand that the best is yet to come! It is also for those under 40 who want to better understand the road they will soon be traveling, the one their parents, older friends, and relatives are now on, and a lot more about the remarkable and complex future they will soon be responsible for. Some people see the years after 50 as a time of decline; a kind of afterthought to their years of accomplishment; a time when the best years are behind them and their only option is to retire to the sidelines and settle for a more restricted and limited life. 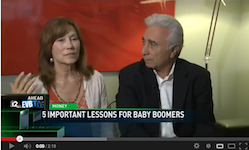 And then there are those who do not buy into America’s obsession with youth and aversion to aging. They are still vital, still engaged, still making a difference. They approach their days with passion, a willingness to learn, the desire to share what they know and to use the time they have remaining – whether years or decades – to create a meaningful legacy for those who will come after them! 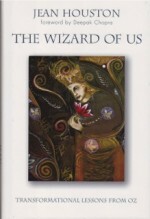 The book also reminds everyone that the world ahead will present serious challenges and remarkable opportunities and that unless we are prepared and work in concert with each other, our future will be determined by others who do not honor elders and the essential role they must play in creating a sane and sustainable future. 14 hours of inspiring insights, valuable recommendations and tools designed to help members of the AgeNation Family live fuller, more abundant and vital lives. plus links to show archives & podcasts. Sign up to get free downloads from the book. Plus, get our free newsletter full of great content. And at your local bookstore. Click Here To Take The Latest Do Not Go Quietly Survey. 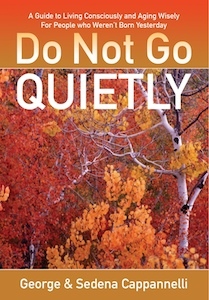 A friend, Joel Harrison has written and recorded a song to support Do Not Go Quietly. Download it today at the link below and a portion of the royalies will support our efforts to make this an age friendly world. Co-Hosted by George Cappannelli and Alan Hutner. This unique, dynamic and entertaining weekly program bringings you the very best in news, information, music, in depth interviews, and special features about life in these times and the things you can do, learn and experience to live consciously and age wisely. Broadcast on Radio Free Santa Fe KBAC 98.1 FM on Sundays, (10 - 11AM MST). Conversations With the Wisdom Keepers offers inspiring, empowering, and valuable information from some of the leading wisdom keepers of our time to people who want to live lives of greater meaning, purpose, consciousness, and passion. © 2019 DO NOT GO QUIETLY. All rights reserved. Premium WordPress Themes.